We use the synthetic phonics scheme Read Write Inc to teach children the skills to become enthusiastic, fluent and confident readers and writers. Across Early Years and Key Stage 1 the children are taught at a dedicated time and in small similar ability groups with the children being regularly assessed, to ensure that we are best meeting their needs. The Read Write Inc scheme promotes the teaching of phonics through a structured and uniform approach with the children participating 100% in the learning process. The scheme ensures that the children are taught the sounds and corresponding graphemes needed to be successful for reading and writing. The children apply their learning of new sounds to read and write both real and nonsense words, in preparation for the Phonics Screening Test in Year 1. Fred talk - the children are supported to blend sounds in to words using the character 'Fred Frog'. 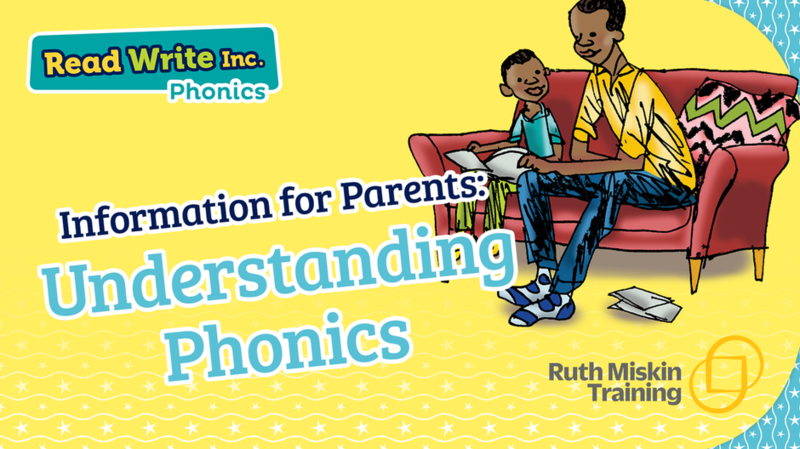 The Ruth Miskin, Read, Write Inc, website offers a whole host of parent information guides and videos designed to help parents support their child's phonic development.